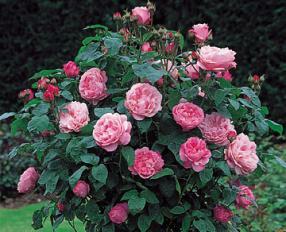 The best time of year to plant roses is generally the autumn, but if container grown, roses can be planted at any time. Many are repeat flowering, giving a longer season, whilst many of the beautiful, old varieties of roses flower once only. 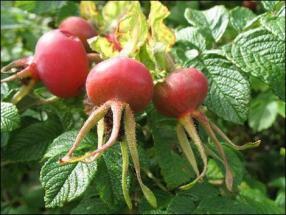 Some roses come with the additional benefit of fabulous rosehips in the autumn, not only do these look beautiful, but you can make your own rosehip jelly. We also stock rose fertiliser, to feed and nourish your roses and treatments to deal with blackspot, mildew, greenfly and other rose pests, so that they remain healthy and beautiful. Roses make the perfect, lasting gift for a special occasion and milestone wedding anniversary. 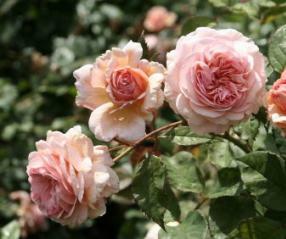 Click here to download more information on the classification of roses.